Near Rondo Daszyńskiego metro station, a new Warsaw business hub is thriving. The City Centre West region offers everything an entrepreneur needs to succeed – convenient public transport, well developed infrastructure and extensive range of services. 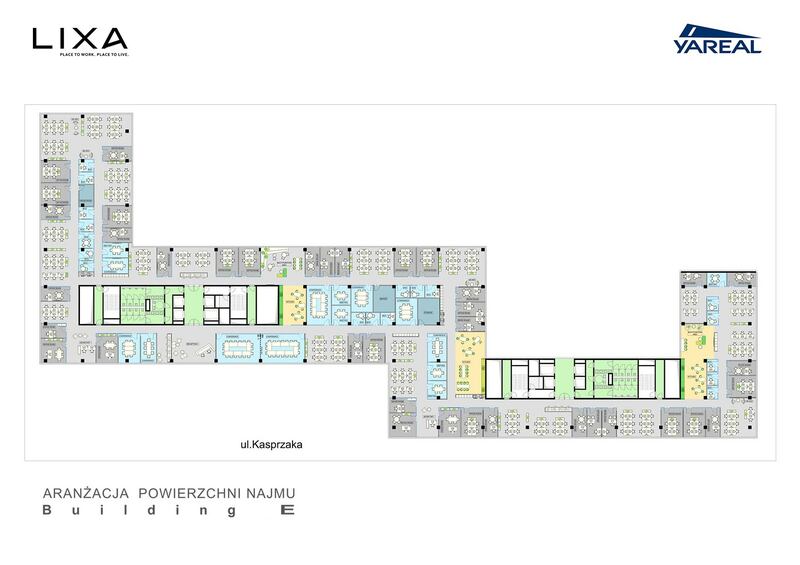 Internationally recognised brands and top Polish companies have already noticed the potential of this location and decided to move their offices here. LIXA gives you the advantage. It is located in the immediate vicinity of the city centre and offers a variety of possibilities. Here you will find many places to eat – you can enjoy your meals in various cafés and restaurants located near the offices. The nearby green squares are also very popular. The LIXA project also has great transport connections. It is located in the vicinity of Rondo Daszyńskiego metro station – a central public transport node. There is a second metro station here as well and numerous bus and tram lines. Another advantage is the close proximity to the Central Railway Station a convenient connection to Warsaw Chopin Airport. The office can also be easily accessed by car or bike. 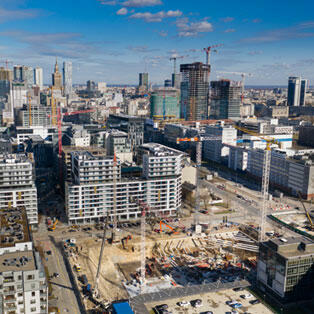 Warsaw is developing in an extremely dynamic and sustainable way. Contemporary architecture perfectly blends with historical buildings to create ideal harmony. The majority of residential buildings and offices are multifunctional, with large integrated public spaces. 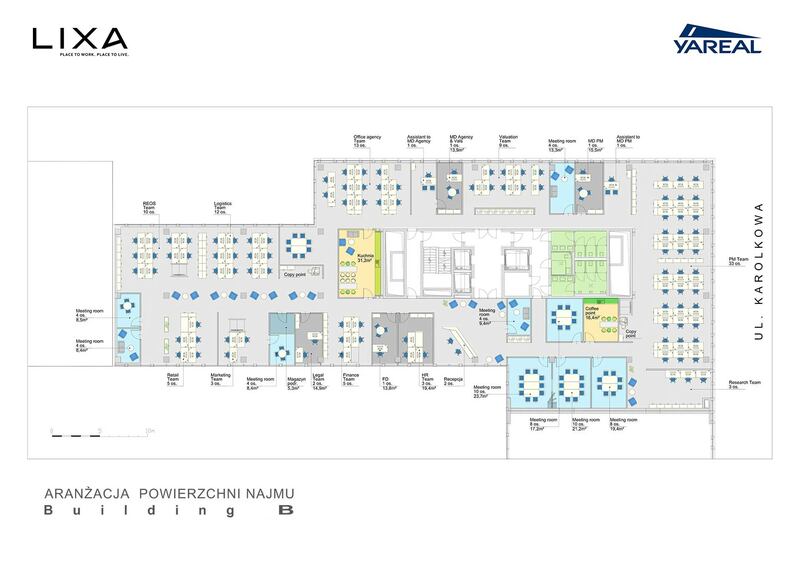 This new Warsaw business hub offers a variety of services, numerous shops as well as restaurants and catering services. This part of the city is mostly favoured by young people who choose to live and work in this area. In LIXA there is no place for boredom. The common areas are designed to encourage people to spend time together, and there is no other place like the green courtyard to meet and talk. ome of the premises are intended for services – including cafés and restaurants with gardens stretching both to the street and the courtyard. Everyone will find their place here. The quiet squares let you relax and the cascading terraces encourage you to catch the sun's rays. The physically active people will be happy to use the convenient bicycle storage room with changing rooms and bathrooms. An innovative office space will significantly increase the quality of how an organisation works. It also contributes to its profit. An attractive office is also a key factor for many employees looking for a new job. After all – it is a fact that the best offices hire the best specialists. The main part of the LIXA project is a multifunctional complex of three buildings. The heart of this complex is a spacious green courtyard with a university campus-style design. The courtyard is filled with sunlight and surrounded by greenery. It has green squares, numerous places ideal for relaxing and a canteen with a garden. You will find it a great place to relax, have a meeting or work creatively. Next to it there is a separate building. It was inspired by a pre-war modernism as evidenced by its windows capturing the horizontal nature of the building, large sheets of glass and deep arcades. The building can be accessed through an attractive entry square surrounded on the one side by the building’s façade and a row of trees on the other side. Every company is specific, and every person works in their own way. This is why LIXA makes it possible for everyone to arrange their office space the way they desire. In LIXA you create the space around you. You decide where you will have individual working, co-working or rest zones. You create comfortable chill-out rooms or teamwork rooms that will truly inspire your staff. All of this brings out creativity and the full potential of your team. A comfortable workplace boosts productivity, and an adequately diversified space encourages creativity at work. This is why today’s offices constitute multifunctional environments adapted to the individual needs of people. Such environments do not isolate people from the outside world – on the contrary they create interactions and stimulate the exchange of ideas. 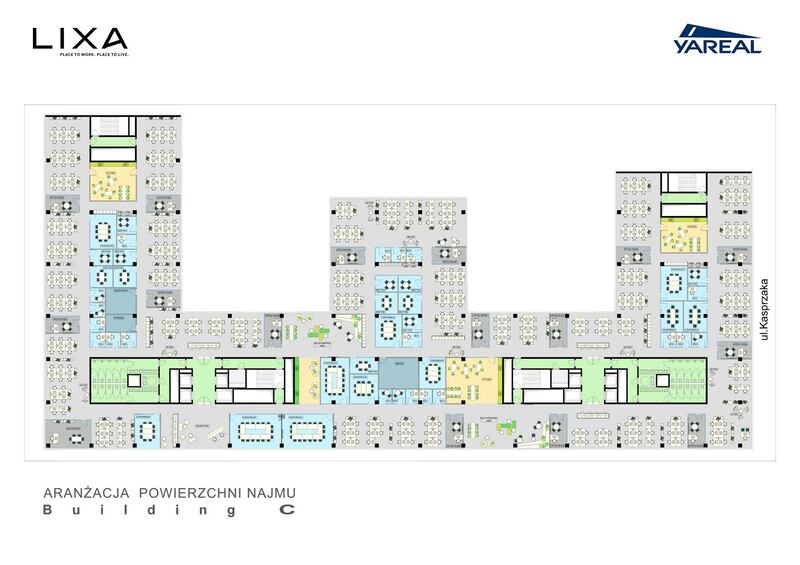 The main part of the LIXA project is a multifunctional complex of three buildings. The heart of this complex is a spacious green courtyard with a university campus-style design. The courtyard is filled with sunlight and surrounded by greenery. It has green squares, numerous places ideal for relaxing and a canteen with a garden. You will find it a great place to relax, have a meeting or work creatively. Next to it there is a separate building. It was inspired by a pre-war modernism as evidenced by its windows capturing the horizontal nature of the building, large sheets of glass and deep arcades. The building can be accessed through an attractive entry square surrounded on the one side by the building’s façade and a row of trees on the other side. Maximum access to daylight in the offices.